Sweet Potato Nut Minis are a nutritious soy, corn and peanut-free pellet alternative. Crunchy petite squares have a nutty, sweet flavor; offering the taste of sweet potato that parrots love. Raw cashews and almonds are a favourite for parrots of all sizes. Ancient grains such as kamut are well tolerated by wheat sensitive birds. Sweet potatoes are loaded with vitamin A and contain energy-giving carbohydrates, vitamin C, folate, calcium, dietary fiber and potassium. 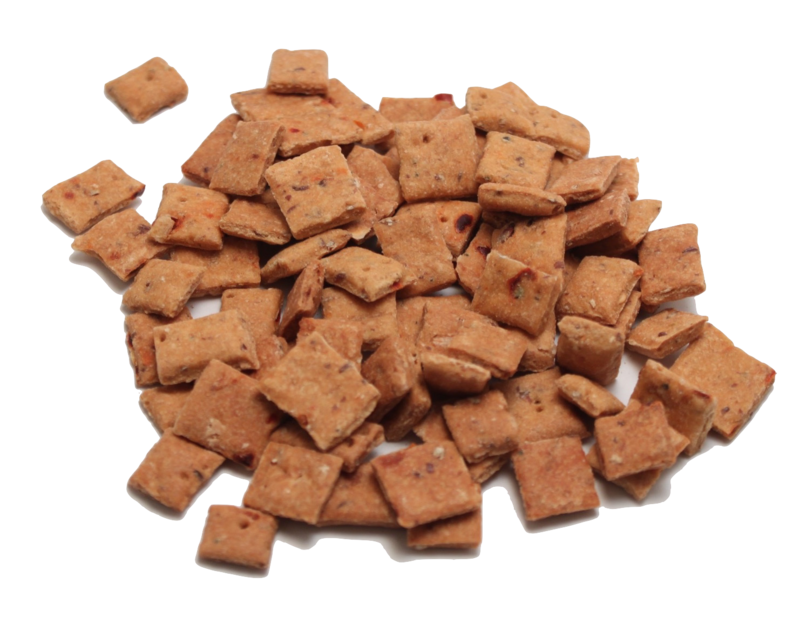 Sweet Potato Nut Minis ideal for all small birds and are also relished by larger parrots. *Add Sweet Potato Nut Minis to any good quality seed mix or serve a 1/2 tsp as a treat.